Eric Booth Realty has managed a broad array of complex real estate transactions, including foreclosures and short sales on the list and buy side. Thanks to his candid and authentic approach, he has seen his business grow exponentially over 10 years, despite market declines between 2007 and 2012 when many agents were leaving the industry. 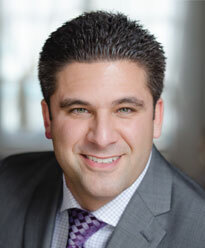 Eric graduated from Lake Forest College with a degree in Business and focus in Economics and Marketing. Eric has broad market knowledge, starting his career in the city of Chicago and recently moving to Highland Park. He serves clients at all life stages, from young professionals looking to buy their first property to empty nesters looking to downsize. Here are some downloadable resources to help you in your home buying or selling process. Buying or selling a home can often be an overwhelming undertaking. If you need guidance, I have the qualifications needed to pass along expert advice. Please don’t hesitate to reach out.